Campaign update: Announcing our FORCES for CHANGE concert! 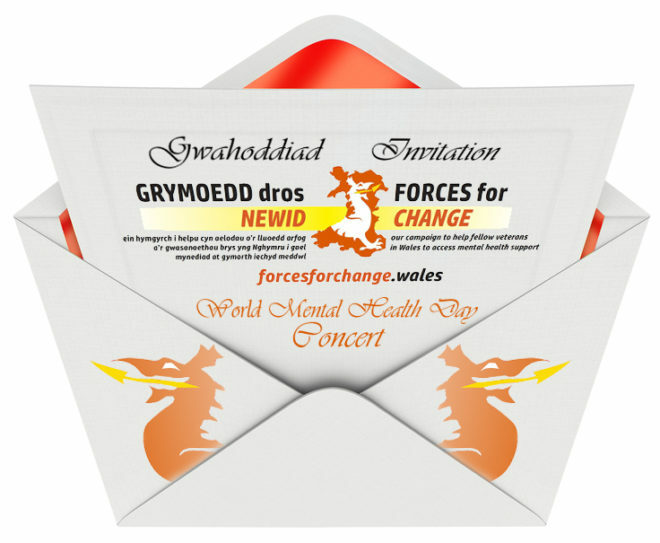 We are delighted to announce that our FORCES for CHANGE concert will take place in Port Talbot on World Mental Health Day: October 10th 2017! A wealth of Welsh and international talent will be on stage at the Princess Royal Theatre, Port Talbot to celebrate our national 2017 campaign for veterans with mental health problems. FORCES for CHANGE has seen armed and blue light veterans reaching out to fellow veterans who are experiencing mental health problems. Campaign events have taken place in all 22 counties of Wales, and at the Royal Welsh Show and National Eisteddfod. The FORCES for CHANGE concert on 10th October will serve as a huge thank you to everyone who has taken part in the campaign, and is dedicated to our veterans who have contributed so much to Welsh life. Alun Thomas, Chief Executive of Hafal, said: “The FORCES for CHANGE campaign has struck a chord. At the county events the engagement with the campaign has been very telling. There is clearly a need to ensure veterans feel able to ask for help with their mental health – and that they have access to the support they need. A raffle will also be held on the night with prizes including a signed shirt from Welsh footballer Gareth Bale, a stay in a Somerset B&B, a tour of the Principality Stadium for four people and a Samsung tablet. For more information on the event please contact Hafal Head Office. 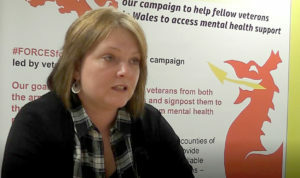 Tina Jones, a member of the Panel leading the campaign, has spoken about the campaign’s achievements in bringing together veterans’, carers’ and mental health organisations. “I remember going to my GP as a civilian. He never once referred me to any veterans’ charities or organisations that deal with some of the issues I’d had in the army. Watch our interview with Tina here. At the end of the campaign we will report back to policy makers, politicians, health professionals and other decision makers about the key mental health issues facing veterans – and make recommendations for developing and improving services across Wales.